Our range of products include nitrogen generator, gc nitrogen air combination generator, n2 storage tank, zero air generator for toc analyser, zero air generator & air dryer for on-line toc analyzer and nitrogen generator for lc-ms & lc-ms-ms.
• Nitrogen Generator produces a continuous flow of high purity Nitrogen at selected pressure. • The modular pressure swing adsorption (PSA) unit operates with alternating pressure increase and decrease. • Untreated air flows under pressure through the reaction towers containing carbon molecular sieves adsorber. Moisture, CO, CO2, THC, O2 and other unwanted components in the air are adsorbed, leaving Nitrogen Gas of required purity. • During the desorption cycle, the trapped substances adsorbed are released again at low pressure and the adsorber is ready for next cycle. • Flow range available from 100 ml to 2000 ml and above. 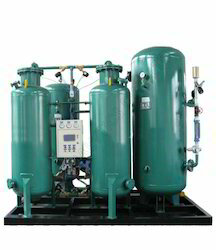 • Nitrogen & Air Generator produces a continuous flow of high purity Nitrogen at selected pressure. • Untreated air flows under pressure through the reaction towers containing molecular sieve adsorber. • Moisture, CO, CO2, THC, Oxygen and other unwanted components in the air are adsorbed, leaving Zero Air & Nitrogen Gas of required purity. • Nitrogen & Air combination generator is compact (2in 1) & also cost effective and the compressor for generating both the gases is common. 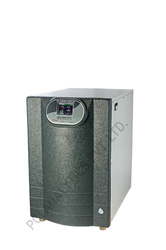 • Special Combination of Nitrogen, Zero Air for GC & Zero Air for TOC model is also available. All are availible with Pressure Gauge, Non-return Valve, Safety Valve,, Ball Valve accessories. Net weight of ZAG w/o compressor 35 kg. • Flow range available from 10 LPM to 30 LPM and above. The dimension of N2 Generators in mtr. 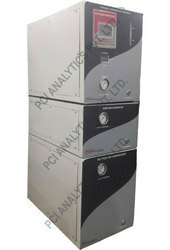 • Nitrogen Generator High Capacity for Plant / Production / Purging / Reactors etc. • Complete System with Compressor, Dryer, Receiver, Analyzer, Automatic Change Over System from Generator v/s Cylinder etc. Hydrogen is produced in the PGH Series Hydrogen Generators by the most advanced electrolytic membrane technology. The application of voltage across the electrolyte results in hydrolysis, breaking down the water molecule into hydrogen and oxygen gas, which are separated by the gas permeable membrane. Once separated, the hydrogen gas goes through a series of purification and moisture removal systems to achieve the desired level of purity while the oxygen gas is being discharged into the atmosphere. Electrolytic membrane technology has its advantages over alternative hydrogen generating techniques as it is clean, requires less maintenance and there is no need to store chemicals to maintain operation. Only pure double distilled water (initially some KOH), is required to provide trouble free long term operation. Membrane separation is also less time consuming as only water is needed for routine maintenance. a) Air Purifier & catallytic converter which includes cooling coil, Micron filters, filters to remove moisture, dust etc. b) Automatic Heatless Air Dryer timer based Operation with high efficiency dessicant adsorbers which removes moisture upto PPM Level. c) N2 purifier to remove O2 & produces N2 upto UHP Grade & also removes all other unwanted impurities. d) SS Tank for Air & Nitrogen Gas with regulator, gauge & toggle valve (in-built) Capacity N2 Gas :- 200 ml/min at 5 kg / cm2, Capacity Zero Air Gas :-1500 ml/min at 5 kg/ cm2. Oil free Air Compressor ( Bare )In-built Capacity - P.D :- 3.0 cfm /FAD-50 LPM, 7bar. 0.60 HP, 230 V AC,50 Hz , 1 Phase. 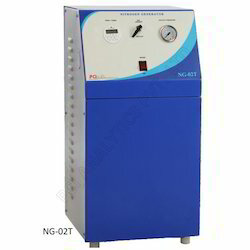 Nitrogen Generator produces a continues flow of high purity Nitrogen at selected pressure. The modular pressure swing adsorption (PSA) unit operates with alternating pressure increase and decrease. Untreated air flows under pressure through the reaction towers containing carbon molecular sieves adsorber. Moisture, CO, CO2, THC, O2 and other unwanted components in the air are adsorbed, leaving Nitrogen Gas of required purity. During the desorption cycle,the trapped substances adsorbed are released again at low pressure and the adsorber is ready for next cycle. Automatic heatless air dryer timer based operation. Capable to run upto 5-6 GC. Pressure swing Adsorption (PSA) Technology. Microcontroller based Nitrogen Generator with 2 Chanel analog sensors for pressure and with four relay output. TFT color display (3.5") 320 x 240 color pixel graphical display. Zero Air Generator produces a continuous flow of high purity Zero Air at selected pressure. Untreated air flows under pressure through the reaction towers containing molecular sieve adsorber. Moisture, CO, CO2, THC and other unwanted components in the air are adsorbed, leaving Zero Air Gas of required purity. The Zero Air Generators are suitable for use in laboratories and industrial environments. 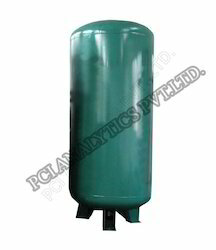 Oil free compressor can be provided by PCI. 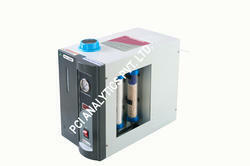 Nitrogen & Air Generator produces a continuous flow of high purity Nitrogen at selected pressure. Moisture, CO, CO2, THC, Oxygen and other unwanted components in the air are adsorbed, leaving Zero Air & Nitrogen Gas of required purity. Nitrogen & Air combination generator is compact (2in 1) & also cost effective and the compressor for generating both the gases is common. Special Combination of Nitrogen, Zero Air for GC & Zero Air for TOC model is also available. Dimension of N2 Generators in mtr. Looking for Gas Generator - Ultra High Pure ?